“Self cannot kill itself; the blow must be struck from elsewhere, and the self must rest passive in receiving it. Despite the obvious danger of Quietism, the lesson is clear. The church cannot decide to die, God will lead as the new structures and systems emerge. Especially powerful is locating the beginning of growth, through a quotation from Graham Tomlin, in the Trinity itself. The ‘procession’ of the Son from the Father, is an outgoing, an extroversion which the church is called to imitate and live. He is also clear that a failure of growth is a failure to call on the Holy Spirit. This is something I have argued in an Anglo-Catholic context (see here). The failure of Anglo-Catholicism (so far) to absorb charismatic renewal, that great gift of the Spirit which has re-energised so many parts of the church. I like, too, his comments on St Cuthbert and St Francis. we so often over-spiritualise or over-individualise these saints. They are adored in a new-agey, ‘spiritual but not religious’ kind of way, but not remembered as the amazing evangelists that they were. His argument for the reasonableness of a theology of growth hinges on the benefits of being a Christian. These arguments are compelling but not sufficient. I want my family, my friends, my colleagues to know Jesus because they will be happier and live longer by doing so. However, most of all – and I hardly dare say it, we are so alienated from our own theology – I want them to be saved. Jesus bring salvation, not just now in greater justice in the world, but for whatever eternal life will be. A conversation with a priest-colleague this week focussed on the danger that universalism poses the church’s mission. If we believe that everyone will be saved the compulsion to evangelise dissolves. The second essay is by an assistant bishop in the Archdiocese of Los Angeles, Robert Barron. (Here) “Evangelising the Nones“. Reversing Kant, he takes Von Balthasar’s scheme of the beautiful leading to the good, leading to the true. In our profoundly experiential world he says, the only way to evangelise. He quotes Brideshead and Claudel’s “visceral experience of the beautiful”. This is the beautiful as objective not subjective reality. The Catholic tradition has an attic full of treasures to deliver this. He is convinced that we need to teach a better christology that is firmly based on the Old Testament and which shows, therefore, how Jesus fits into the continuity of human history. Adam as the first priest and king and the garden of Eden as the “primordial Temple” that makes sense of Jesus and our need for salvation. The way in which we describe or think of God also undermines our theology of mission. If God is a being like any other, we are in competition with God, and he quotes Christopher Hitchens: accepting a God like this would be accepting “permanent citizenship in a cosmic North Korea”. With Aquinas, Barron asserts a God whose existence is utterly unlike anything else that exists. Finally, Barron addresses the need for the beautiful to lead to the good. Our failure as Christians to be good, the abuse crises in all the churches is the most obvious example, undo all our efforts to evangelise. This is where my worlds (Education and the Church) meet. It is why the revolution in education to a knowledge based curriculum is so important to the church. In teaching the faith, churches have adopted the failed discovery methods and progressive forms of education which are passing. Future generations will look on these as the wilderness decades for education – and for the church’s communication of the faith. The most theological conversation I have had with an educator in the last two years was with the non-Christian Headteacher of Michaela Community School in Brent (see my blogs on the school here, here and here), Katherine Birbalsingh. Katherine recognises the realty of what we would call ‘original sin’, she knows that memory is the only building block of learning and she refuses to allow anything in a child’s background to be an excuse for failure: I would call this sin and redemption. The beautiful leads to the good, and that leads to the true: truth is knowledge. ‘Knowledge is power’ it says outside Michaela. Knowledge is freedom I would say. “An expression of resistance” is how Barron describes the great spiritual practices of the Christian tradition. 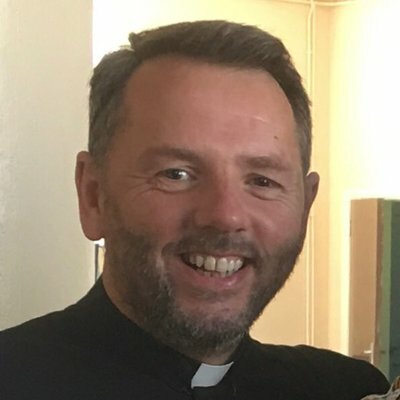 Fr Richard Peers is Director of Education for the Diocese of Liverpool in England. Fr Richard Peers is the Director of Education for the Diocese of Liverpool. Next Post Is there any hope?